Create memories that last a lifetime with holidays at TUI Magic Life Fuerteventura (formerly known as Hotel Club Magic Life), which stands grandly over the long sandy beach of Playa de Esquinzo, Morro Jable, Spain. This 4-star hotel, which is 9 kilometres away from Jandia peninsula, offers a fantastic view of the Atlantic. With five huge pools, spa facilities and a wealth of sports facilities like mountain biking, beach volleyball, tennis, cycling and football, you can relax and have fun. The resort has four in-house restaurants that serve ample cuisine choices. 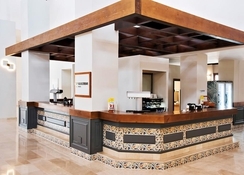 Three bars are also present inside the resort serving refreshing drinks to the guests. Moreover, there’s a children’s club and a youth club for teenagers, where a good number of entertainment activities are available. The town of Morro Jable is only 8 km away from the TUI Magic Life Fuerteventura. At Morro Jable, you will find a wide range of retail shops, coffee houses and more. 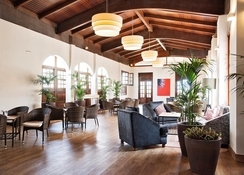 This is a charming place for couples, families and friends to have a fulfilling holiday in Fuerteventura. 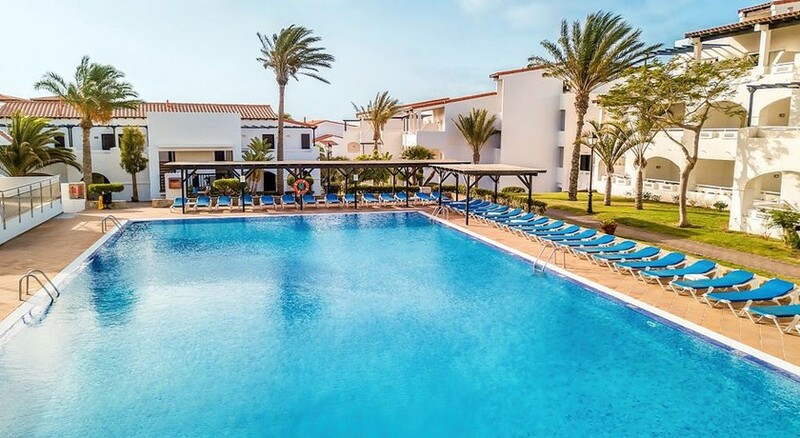 TUI Magic Life Fuerteventura is nestled amidst the endless beach of Playa de Esquinzo, Fuerteventura, Spain. If it’s paradise you’re after, it doesn’t get much better than stepping straight out of your hotel and onto the soft sandy beach. Numerous restaurants and nightlife facilities can be explored in the area, with options only 4 km from Jandia’s beach. If you want to browse the shops or hit the beachside bars, head to Morro Jable village, which is at a distance of 8 km from the resort. The Fuerteventura Airport is 78 km away from the hotel. The hotel features 693 air-conditioned and well-equipped guest rooms, which seamlessly blend regional charm and understated elegance. There are three room categories that include Double Rooms, Family Rooms and Suites. In Double Rooms and Suites, a maximum of three adults can be accommodated, on the other hand, the family rooms can accommodate up to four adults and two children. Every room has a balcony and patio, where you can enjoy Fuerteventura’s scenic sea views. The rooms are well-equipped with all the necessary facilities including TV, mini-fridge, satellite, telephone, safe, and hairdryer. A few rooms have sofa beds, too. Guests can also stay in the Private Lodge area, right next to the hotel. All the rooms here are equipped with air conditioning, telephone, satellite TV, mini-bar, safe, bathrobe, whirpool bath tub and hairdryer. The Private Lodge is accessible only to guests above 16 years of age. 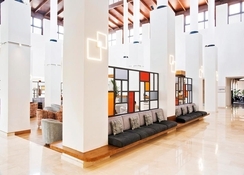 Dining options are at the forefront at TUI Magic Life Fuerteventura with the Magico Buffet main restaurant and 3 a la carte restaurants and bars. The Magico Buffet restaurant has delicious dining choices everyone will enjoy; it serves buffet style breakfast, late-sleepers breakfast, lunch, dinner and a cooking show. This world-class restaurant will also delight the health conscious guests, as it has a green fit corner for healthy meals. The bars serve all types of local alcoholic and non-alcoholic drinks along with a variety of soft drinks. You can also order coffee, sandwiches, cakes and midnight snacks. TUI Magic Life Fuerteventura has 6 outdoor swimming pools, which includes a heated activity pool, relaxation pool and a sports pool for Olympic activities. There is also a family pool and a separate pool for children. Loungers, sunshades and bath towels are provided. Other facilities include showers, changing rooms and toilets. Plenty of sports facilities are available at the resort such as mountain biking, cycling, tennis and football. Massage and beauty treatments are available at a surcharge. The Playa de Esquinzo beach is accessible from the hotel by stairs. 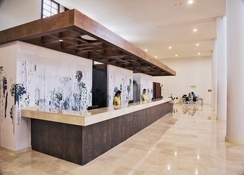 There are also a number of sports facilities at the hotel, including tennis, football, volleyball, aerobics, table tennis, billiards and lots more. The wellness centre within the hotel offers spa, massage and beauty treatments for complete relaxation.